In a breakthrough, the Madurai Bench of the Madras High Court on Thursday confirmed that carbon dating of artefacts from the Adichanallur excavation site in Thoothukudi district place them between 696 to 905 B C. It was a 15 year delay in assessing the date of ancient site. It is said that the samples were not sent for carbon dating and the report was not made ready. ASI had sent two samples to the Florida lab and the lab report dated March 18, 2019 stated that samples from one urn is aged between 696-540 BC, 791-701 BC and a sample from another urn is from 905-806 BC (2854-2755 years). 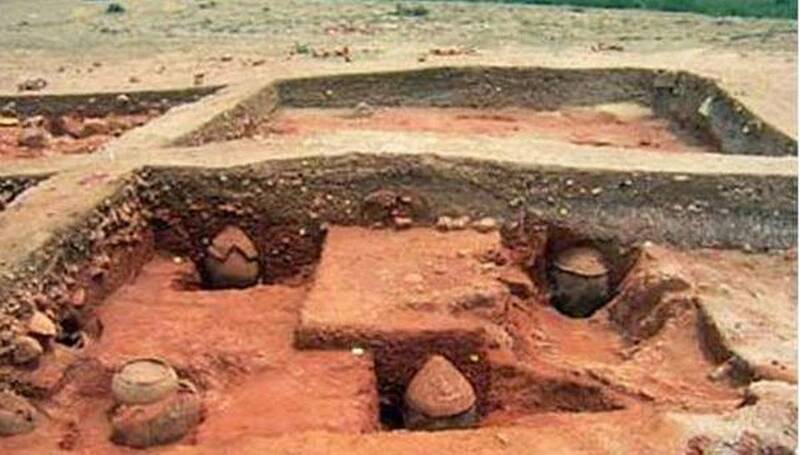 A report on the carbon dating from the Alagankulam excavation site in Ramanathapuram district found it to be from 345 BC. Many potteries found at the site have Tamil inscriptions, it will prove that the age of Tamil is more than 345 BC and much older than Dhamma Lipi (Prakrit in the Brahmi Script) of Ashoka Edicts, which is stated to be dated from 268 BC to 232 BC.